Cultivate or enlarge contacts with volunteers serving on other boards. It is possible that such networking groups are already operating under the sponsorships of a local foundations or the United Way. Although the missions and budget sizes of peer nonprofits might be different, the governance principles under which they operate must be substantially similar. All are covered by the same state regulations. Of course, those with health care responsibilities and those established by governmental units will have more complex board governance regulations. What Can Be Learned & Why Important? Greater Mission Depth: Many volunteer board members have careers far afield from the mission of the nonprofit. 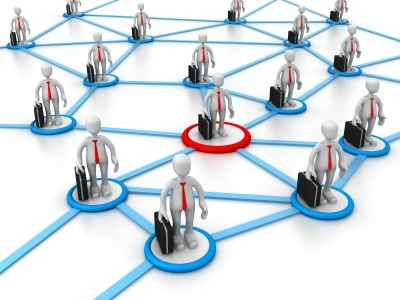 Consequently enlarging the directors’ mission knowledge via networking, can be helpful. Board Development: Nonprofit boards have struggled for years to find board development venues. Networking can bring neophyte directors in contact with veteran board members who can more clearly explain such issues as the difference in responsibilities for policy/strategy and operations. Fundraising: Networking can provide leads for development and other experiences for new board members to succeed. Vendor Relations: Retail board members have been recently challenged to pay more attention to consumable supplies and services, as opposed to merchandise being purchased for sale. In a similar vein, I have yet to encounter a nonprofit board that has established an overview task force to examine its vendor relations for cost reductions. Even some small nonprofits may purchase thousands of dollars of supplies from wholesalers, when they could be as easily purchased directly from manufacturers. Information provided at director networking sessions could lead to substantial savings in these areas. Advocacy Partnerships: Advocacy efforts are often in the missions of nonprofits. Using board member networking can lead to synergy opportunities between nonprofits in this arena. Regional or national conferences in the nonprofit’s mission provide excellent venues for networking. Many often have special sessions for board members and/or board members and CEOs. The opportunities for networking at these conferences are substantial. 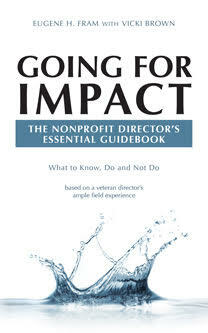 In addition, many of the sessions cover frontier information for changes in the nonprofit’s mission arena. The best impacts arise when the board member and CEO attend together. It provides them with time together to get to know each other better, and the CEO should be able to introduce the board member to others working in the field, creating stronger relationships for both. Costs can be a major barrier attending conferences. The nonprofit must pay the total costs for the CEO, some board members may be able and willing to pay their own costs. However, for board members with modest financial circumstances, is it wise to have a policy to cover their expenses or to seek foundation support for their travel? It is an issue that can be addressed situationally. ← Major Donor Has Remorse — Nonprofit Board/CEO Failed to Meaningfully Engage Him?